JILF Rice Depot is an amazing startup business in Akure, Nigeria that sees to the distribution of rice in the State. We sell rice from different producers to give consumers a sense of choice and a good customer service. The business is growing and making sales around Nigeria ands has gained customers trust for its amazing customer service and trust. A 50% equity will be sold to the intrested investor. 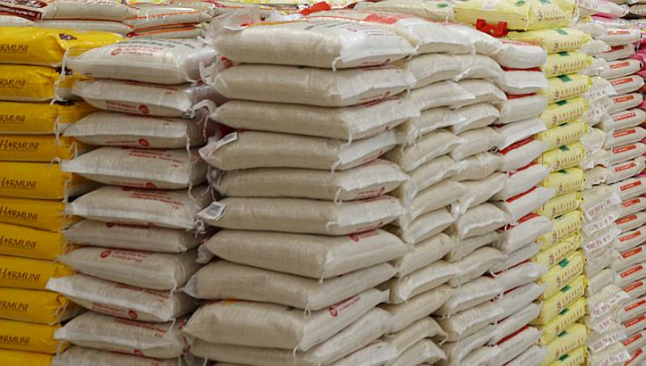 In Nigeria, their is a certain part where rice is very scarce and at high demand but no one has noticed that part. So with the investment, we will be able to take hold of that opportunity to increase our sales and recognition. We sell different type of rice and promote to alot of people, and with your help we will be able to cover more grounds and make more profit at the same time satisfy the need of the consumers. There are competitors but in the case of the opportunity, there are no competitors because no one has noticed the demand from this area. Our well trusted customers support and advertising strategies gives us an edge over competitors. Due to the newly discovered opportunity, our business can go into limelight and over ride all competitors in this business. Thank You. In Nigeria, a bag of rice from the Manufacturers cost 10000 naira and we sell to consumers or other retailers at 16000-18000 naira. If we can get your investment, we will sell 10000 units per day at an average of 17000 naira which is 170 million Naira that is an equivalent of $500000. A dynamic and highly industrial Rice Depot. We have customers all over Nigeria and make sales of up to 500 units per day which will increase rapidly if we can grab the opportunity expressed above. The rice market is at very high demand in Nigeria and we hope to sell up to 10000 units of Rice per day with this investment. Making it 300000 units per month. As at now, there are no risks but we must grab this opportunity fast enough before anyone does.